Updated news from two of the trial witnesses: Gina Price has been found GUILTY! I am very pleased to report that this afternoon, July 14, the jury in the U.S. District Court for the Eastern District of Tennessee convicted abusive puppy importer Gina Price of fraud by mail, fraud by wire, income tax fraud and social security fraud. The jury acquitted her on 2 counts of witness tampering because they were unable to sufficiently recall the revlevant testimony. Ms. Price was remanded to the custody of the U.S. Marshall pending sentencing on December 8, 2008. There will likely be stories in at least two local newspapers tomorrow. I will forward copies. They are looking at between 72 to 84 months in prison. Hopefully it will be close to 7 years. The case has been well covered in the Tennessee newspapers, with Knox News and the Tricities Paper doing an excellent job. Reporter Mac McClean in particular did a wonderful job. It was refreshing to see newspapers and reporters not blowing this off as just ‘another dog thing’. You can read the full reports on the jury’s decision here and here. My thanks to those who’ve been following the trial via this blog, and to the witnesses who’ve been sending me reports from the trial. To understand why I’ve been devoting so much time to the Gina Price trial, you need to first understand the ramifications of this case. This is the very first time that a US puppy import broker or re seller has faced Federal charges and a federal trial. This has long reaching implications for every other currently operating broker who has victimized buyers, and put innocent puppies through hell. Attorney John Hoffman has worked relentlessly towards the eradication of puppy re sellers. Here’s an email detailing what they’re planning next, and how you can help. Please – if you know of anyone who has been the victim of a puppy import broker or re seller, ask them to get in touch with John. Witness who are willing to testify are the only ammunition available to fight these scumbags. Gina Price of Rebel Ridge Kennels is currently on trial in federal court in Tennessee for abuses in connection with the sale of imported puppies and there is a very good chance of having investigations of other importers started if we can gather enough buyer complaints to show a pattern of fraud. The federal prosecution of Price and the fact that Brenda Moncrieff (BulldogRavine, APlusBulldogs, and HeavenlyFrenchBulldogs) has voluntarily surrendered her kennel license to the Pennsylania authorities and taken down her websites shows us that responsible breeders and owners and purchasers of French Bulldogs CAN make a difference. 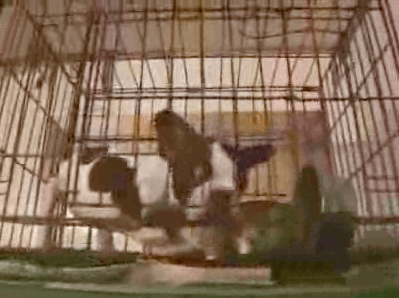 Price and Moncrieff were two of the most prolific and abusive of the puppy import brokers. The Wrong Puppy (www.thewrongpuppy.org) is asking for your help. We need to gather as many complaints as possible about the purchase of import puppies from each and every abusive puppy import broker still hanging out their shingle. Warren James, one of the puppy buyers from Gina Price, set up a website called RebelRidgeKennelsIsBad.com (no longer in existence), which he used to collect complaints from puppy buyers. He had more than 30 complaints when the FBI investigation against Price started and more than 200 by the time the decision to prosecute was made. 2. What the buyers received. Please contact Attorney John Hoffman at canada@dslextreme.com if you have available documentation, or simply mail the documentation directly to his office at John E. Hoffman, Esq., 4035 Robin Hill Road, Flintridge, California 91011-3811. Be sure to include any envelopes in which things were mailed, and records of any wire or Internet transfers of money in connection with the purchase of their puppy, because it is necessary to show use of the mails or wire facilities (including Internet and Western Union transfers) to show fraud by mail and fraud by wire, each of which carry sentences of up to 10 years in prison. Cases involving puppies who died or who had serious medical problems are the most important, but we also want cases in which the promised registration papers were not provided and in which a promised health certificate was not furnished. PLEASE, CROSSPOST FAR AND WIDE, GET THE WORD OUT TO EVERY BULLETIN BOARD, EVERY BLOG, EVERY EMAIL LIST, EVERY FRENCH BULLDOG OR BULLDOG MEETUP, EVERY FRENCH BULLDOG OR BULLDOG CLUB. WE NEED YOUR HELP!